Our companion app allows you to control and manage devices right from the palm of your hand. Walk around your device lab and have your devices under control. Easily connect to devices and control them without searching for the right controller or batteries. Have all the controllers you need in one place...right on your smartphone! Our device control unit - the CandyBox knows how to operate TVs, set-top boxes and other infrared-based devices. In essence it is the ultimate web-based programmable universal remote control that works with regular retail devices. After a short installation process you will be able to control your devices interactively or run automation sequences and execute end-to-end test scenarios - all from your Suitest account. Get the CandyBox for free with our SUPER SWEET or THE SWEETEST subscription. SuitestDrive is the younger brother of the CandyBox. 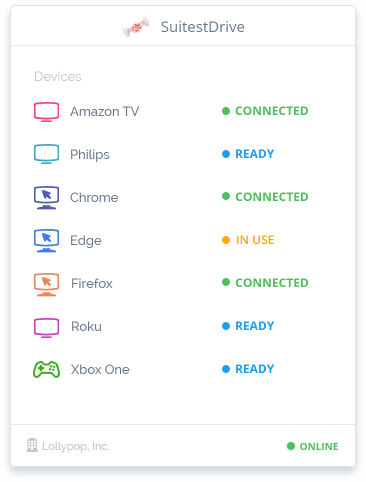 It is a desktop application that can operate your locally installed browsers, emulators as well as Android TV, Apple TV, Roku devices and the Xbox One console. Since Suitest is completely cross-platform, writing test scenario in the browser and letting it run on a physical device later is an ordinary business. Download for free from your Suitest account. Suitest features a one of a kind test editor which puts the ease of use above everything else. Record a basic test by simply using the app. 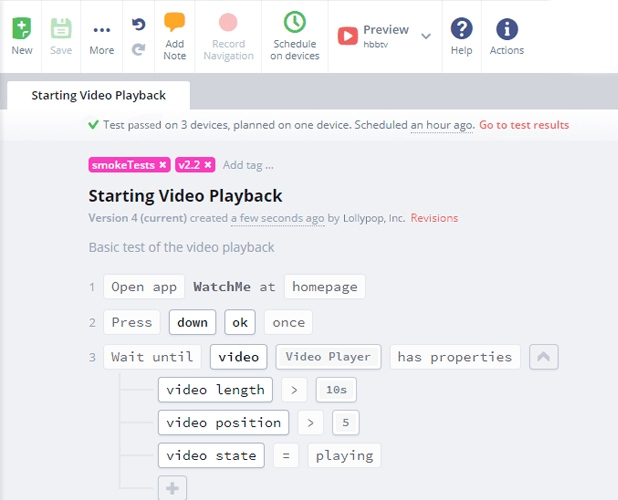 Add various assertions using the rich visual tools to test every aspect of your app. All in plain English, absolutely no programming required! And if you ever decide to port your app to a new platform, your tests will run there without any modification. You know how it is, you write some automation scenarios, get all excited and then suddenly a very slight change made to the app makes all your tests invalid in no time. Not so in Suitest. 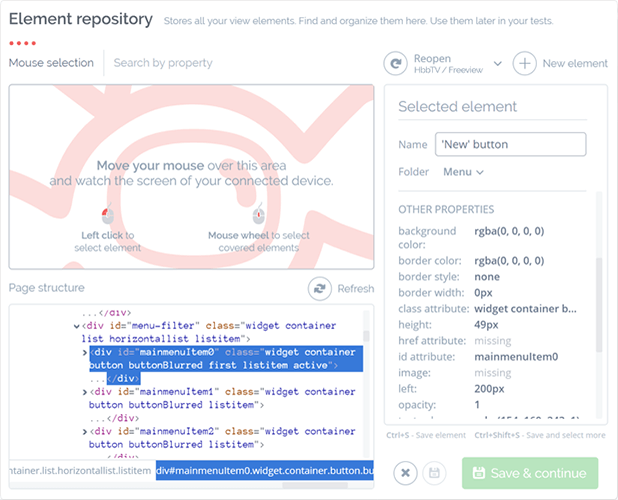 Our Element Repository will make sure that the scenarios you write will survive app changes with only little effort. Element repository abstracts you from how your application looks like and from the platform it runs on. It does the heavy lifting in the background and lets you focus on your automation scenarios instead. Suitest can run your tests in parallel on 100+ devices. All of the results are neatly organized in test runs and sorted in a timeline for future reference. With test results like ours, it is easy to discover where the bug came from, which devices are affected, which user journeys are endangered and what was the cause of the problem. Along with the result result other data is collected. Currently console output and network activity are available for inspection. And we are working to bring in more data such as performance overviews and screenshots. Our awesome features will streamline your testing and speed up your release cycle.